CRS Jet Spares, a leading business aviation aftermarket parts supplier, announced today the distribution of the Thrust-Reverser Ball Screw Actuator, Part Number 3272570-6. The new item is available on exchange bases for flat rate of $8500 which includes NEW FAA/PMA Ball Screw Assembly Part Number 3238470-2. 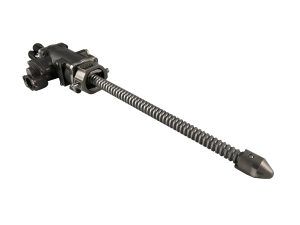 Backed by a No Bill Back Guarantee with Two-Year Unconditional Warranty, this Thrust-Reverser Ball Screw Actuator is compatible with the Challenger 600, 601, 605 Series and the CRJ-100/200. CRS Jet Spares, the Business Aviation leading provider of “Aftermarket Parts Solutions” for classic, out of warranty airframes, has increased its APU support programs with the addition of a GTCP36-100E and a GTCP36-150CL. These two APU’s in addition to current inventory and programs will increase support for offerings to include, rental and managed repairs, exchanges and outright sales. Through an approved vendor process which follows AS9120 Quality requirements CRS monitors the APU program to the highest standards. “Increasing our inventory levels to continue to support our customer base is an ongoing effort here at CRS” stated CEO and Founder of CRS Armando Leighton, Jr. The programs that CRS offers are a direct result of what we see as a need in the industry as expressed by the operators we support. The APU’s are housed and stored at the CRS Fort Lauderdale facility in a climate controlled environment in accordance to all requirements. For more information on these and additional APU’s contact your CRS Representative today, 954.972.2807 www.crsjetspares.com, or stop by our booth #C089 at EBACE 2015. CRS Jet Spares, a leading business aviation aftermarket parts supplier, has promoted Luis Tapia to the position of Repair Control Manager. “It is always a positive when you can promote someone from within the ranks to a role of greater responsibility” is gratifying for me to see a CRS team member grow within our company so successfully,” stated CRS Vice President of Sales Jack Caloras. With the additional responsibilities, Tapia will be dedicating his time to manage the increasing demand of ready-to-go serviceable stock. 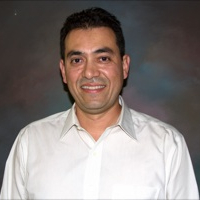 “Luis is a seasoned veteran who truly understands the importance of working with OEM’s and Quality Vendors to support our exchange programs,” stated CRS President/CEO Armando Leighton, Jr.
Tapia has been a member of the CRS Group of companies for over 19 years. 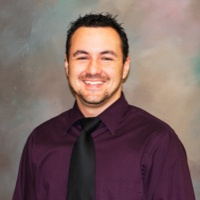 He is a licensed AP mechanic and Aircraft Dispatcher with experience in sales, repairs, purchasing, business development, manager of FAA repair station and FBO maintenance control. Luis spends his time off enjoying long distance bike riding and martial arts. CRS Jet Spares has recently been contracted to support a fleet of military designated Lear 35 airframes. This program is one in which, aircrafts are based both in and out of the United States. The services provided for this program include stocking inventory for designated sites, providing 24.7 global support, repair and technical services as required. “We have supported this airframe for many years and the prime contractor for this program looked at this as well as being a Bombardier Approved Supplier as major advantages in making CRS part of the program” suggests Armando Leighton Jr., the founder and CEO of CRS Jet Spares. With tip to tail support programs offered on various business jet platforms and a comprehensive inventory CRS was chosen as a primary sub-contractor for the duration of this program. CRS offers a wide variety from tip to tail comprehensive parts solutions. Programs for Challenger, Gulfstream, Hawker, Falcon and Lear airframes. Exchange transactions are common within the business aviation community. Airframe OEM’s, Component OEM’s and aftermarket third party suppliers such as CRS Jet Spares have been providing operators with exchange options for years. The transaction is a cost saving option provided to operators when a part is required sooner than later. An airworthy unit is supplied to be utilized as a replacement for a part needing to be removed, which is then returned to the supplier of the airworthy part. All is good for both parties until the core unit is evaluated and deemed to be above the standard work-scope. The result is what most in our industry has come to know as a “Bill-Back” which is less than a positive for all parties involved! In these instances the supplier will request additional charges from the customer to cover the increased cost of the repair/overhaul of the core unit. CRS Jets Spares in its efforts to reduce this negative result from an exchange transaction has a major initiative underway to decrease these occurrences. CRS is increasing what has become branded as an “Option 2” exchange. This is an option that eliminates or reduces the chance of the “Bill-Back” on an exchange transaction. 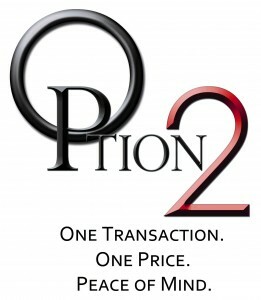 “We have tasked our inside sales team to provide Option 2 pricing for exchange transactions on every opportunity”, states VP of Sales and Business Development Jack Caloras.” If we have an Option 2 price or not established, the conversation we want to have with a customer is whether this would be a viable option for your current situation” Caloras goes on. CRS is leading the way in providing customers solutions that meet their needs and requirements. Don spent 20 plus years at Raytheon Aircraft Services in various Sales and Managerial roles during his time with the airframe OEM in aftermarket support. He lives in his home town of Rockford, IL with his wife Karen, who is also a pilot currently flying business jets. When not working they enjoy spending time on their boat or at the Byron Drag way where he races a 71 Chevelle. Stop by our Booth #1426 at NBAA 2014 in Orlando, FL to meet Don and for a chance to win a 2014 Harley Davidson. Increasing customer service levels is a requirement not a luxury one can afford to neglect. A common sentiment in many business models but, one that runs through the veins and is at the very foundation of aftermarket parts solution provider; CRS Jet Spares. The 30 year plus company known for providing quality parts and high levels of service has raised the bar and improved customer service that is bound to have a positive effect on the business aviation community dealing with this privately owned parts supplier. “Customer advocacy initiatives recently established and implemented will provide benefits to all customers that CRS supports” stated President Armando Leighton, Jr.
CRS has put into place programs focusing on the issues of our industry in providing parts solutions. Two major concerns for anyone purchasing parts on an exchange basis in the Business Aviation Community are failed parts and additional billings. CRS is now offering extended warranty coverage on approximately 50% of its inventory to deliver increased peace of mind. “With parts just as aircraft staying in service for longer periods of time we have seen an increase in major repairs and overhauls being required, which lead to above and beyond normal charges more frequently” claims Leighton. CRS has put into place procedures to inform, review, and reduce these additional charges that cause so many in this industry great upset. Additional staff has been added to monitor the process in the role of a customer advocate, approximately one third of items which CRS now offers on an exchange basis now come with an Option 2 or no additional billing choice. An increase in vendor monitoring as well as accepting the additional charges without passing them on to the customer are all initiatives to offer improved services for our community in order to assist in maintaining their aircraft. New and improved interface provides consignors with access to consigned inventory. CRS Jet Spares, a leading business aviation aftermarket parts supplier, has been involved with consignments for years with companies ranging from single aircraft flight departments, to fortune 100 companies to OEM’s. Consigning inventory is very much what most people are familiar with when you would think of someone owning something that they would like to sell and seek a relationship with another that has the channels to sell these items. CRS is the distribution channel for Business Aviation companies that find themselves with excess or non-essential material. “The reasons vary why a company might have such inventory. Flight departments hold spares for aircraft that they no longer have in their fleet, operators miscalculate on inventory levels needed and a wide range of additional reasons we have encountered over the years.” says VP Sales / Business Development Jack Caloras. Consigning parts provide the owners an opportunity to generate a higher rate of return than a quick sale to liquidate. CRS has seen an increase in interest levels for consigning parts and even a whole aircraft as the possibilities of a larger payoff for assets is a very attractive one. CRS is now providing all of its consignors with an improved connectivity and transparency to their parts. The reporting and visibility allows both consignor and consignee to better communicate and appreciate transactions, status and general information on these parts. For more information on the CRS Consignment Program and to gain a greater understanding if it is the right solution to your current situation, please contact: Jack Caloras, jac@crsjetspares.com. 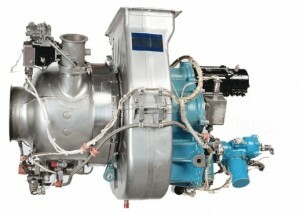 For more information on the CRS Customer Property Overhaul Program, visit www.crsjetspares.com or call 954.972.2807. CRS Jet Spares, a leading business aviation aftermarket parts supplier, has announced their 2014 EBACE Lenovo Yoga Tablet Raffle Giveaway. The company, an EBACE exhibitor for over 10 years, will give to one lucky EBACE attendee a Yoga Tablet. CRS would like to invite all corporate operators, jet owners and maintenance departments attending this year’s annual meeting and convention in Geneva, Switzerland to participate in this exciting giveaway! The drawing will take place at the CRS Booth #3243 on Wednesday, May 21st at 4:00 pm, must be present to win.